One of the best things about social media is that you get lots of different results. By following the tips in this article, you will not just increase your traffic, but you will also get more fans and followers, get more social media engagement, build relationships with your audience, you will reach a wider audience and you will be able to establish yourself as an expert in your field. When you go to “edit contact info”, you can choose “other” and write down what the website is – for example, instead of just saying “blog”, I wrote “social media blog”, which makes it clear what I write about. 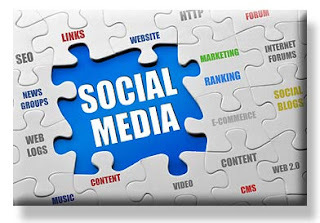 Social media traffic is at its best when you use more than one social network. I personally believe it is best to try out several social networks, in order to figure out which ones bring you the most traffic. Over the years, I’ve been pleasantly surprised by the traffic I started getting from some social networks (such as LinkedIn and Google+), even surpassing some of the most popular social platforms (i.e. Facebook in my case). Once you start posting on social media, it’s very important to keep it up regularly. You won’t keep getting traffic from social media unless you keep posting and engaging constantly (preferably daily, or at least during weekdays). It also important to be human on social media – don’t just post links all the time, but also images, videos, text only posts and even posts that don’t have anything to do with your business. It might not get you traffic, but by only posting links you will put most people off by being too sales-y. Facebook, Twitter and the like might be the top social media traffic generators, but sometimes the smaller and niche social networks can also be great sources of traffic. First of all, try to find out if there are any social networks that deal directly with your niche (Like GoodReads for book authors) and join them. This is where you can find lots of people that could genuinely be interested in what you have to offer – which results in more traffic. I would also recommend trying out some of the smaller social networks, like Tumblr – you can simply share your content on these types of social networks, which wouldn’t take too much time and can still bring in some extra traffic. Hashtags are now present on most major social networks – Twitter, Google+, Facebook etc. Hashtags can help grow your traffic by making your social updates more easily discoverable. I recommend using no more than two hashtags per update, as too many of them will put off some people.